The Lawler Group brings over 40 years of experience to the recruiting industry in Milwaukee and nationwide. Their recruiting specialists have the skills and resources to place well-qualified employees in jobs that match their talents and experience. The employment recruiters in Milwaukee also have an extensive network that provides ample career opportunities. Relationships are established and grown between The Lawler Group and these networks to give employers a multitude of choices and it gives employees an advantage because The Lawler Group knows what these employers are looking for in their ideal candidate. If you need assistance from employment recruiters in Milwaukee with The Lawler Group or if you have any questions about our recruiting process, please give us a call today at 262-241-1600. You can also get in touch with us via email at tim@lawlergroup.com and one of our associates will return your inquiry shortly. At The Lawler Group, we are continuously working to improve our recruiting methods and our distinguished recruiters are always improving on their methods and skills through the MRINetwork. The MRINetwork has global offices and they are currently in 38 countries. The President of The Lawler Group is the third most tenured individual in the MRINetwork. Our main objective at The Lawler Group is to match the right candidate with the right company. 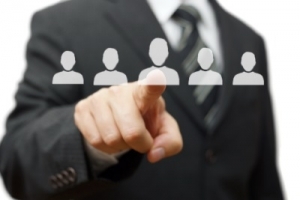 Our clients rely on us to bring to them candidates with exceptional track records of success. With our ongoing training through the MRINetwork, we are able to identify qualities in candidates that will help place them with a company that best suits them. To learn more about our professional employment recruiters in Milwaukee or if you have any questions about our recruiting process, call us today at 262-241-1600. Or email us at tim@lawlergroup.com and we will get back to you as soon as possible.